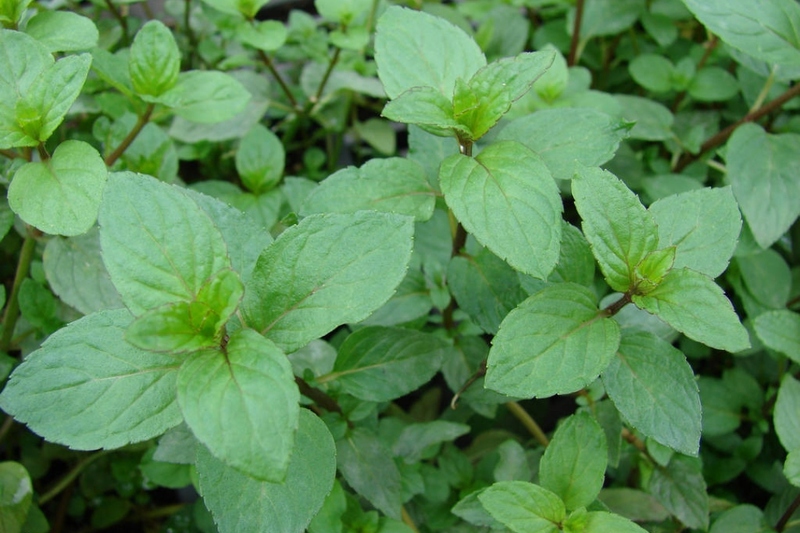 Peppermint (Mentha piperita): growing, planting, caring. One of the most aromatic ! 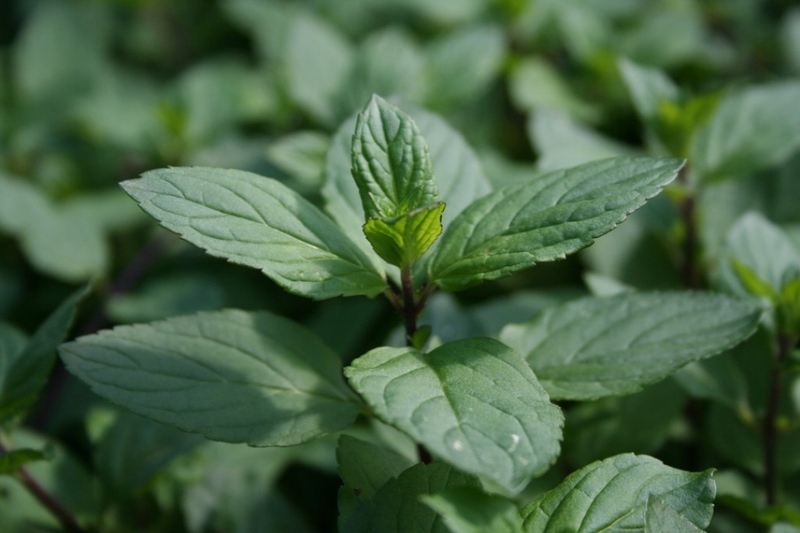 Peppermint is a hybrid mint between watermint and spearmint, indigenous to Europe and the Middle East and now widely spread and cultivated in many regions of the world. 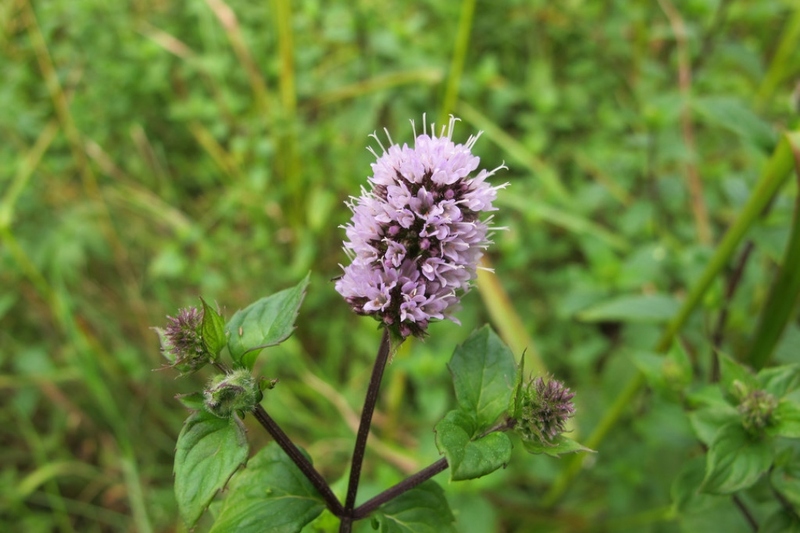 Mints are a genus (Mentha) of herbaceous perennial plants in the Lamiaceae family, in the Nepetoideae subfamily, which includes a number of species in which many are cultivated like herbs, spices, ornamental, and medicinal plants. It's easy to recognize them: rub a leaf to release its smell. When in doubt, look for opposing leaves and very pronounced veins. Seeding mint is very easy. In open soil, sow as soon as May, in any ordinary soil, by spreading the seeds regularly. Inside, sow in a box, in a suitable potting soil. Cover the seeds very slightly, and tamp well. Keep the soil slightly moist until germination. If you have sown in a box, you can transplant your mint as soon as it has some true leaves, when strong frosts are no longer a threat. Gently separate the plants, and plant them every 5 cm at their final location. Mint likes to grow in semi shade: the full sun slows its growth, and will force you to unnecessarily water more! It supports frost and will easily grow back to the same location year after year. In open soil, a cool soil moderatly rich will do, in full sun or semi shade. The soil must be well drained to avoid stagnant water: in pots the ideal is a substrate made of potting soil, with an addition of 10% sand, but mint is not very difficult! Indoors, behind a window, or on a balcony, in a pot or in a planter: if you want to keep it in a pot, replant it immediately after the purchase in a larger pot - a simple terracotta pot will do the trick ! Mints thrive in light soil with good drainage. Most species will tolerate some shade, and the variegated types may require some protection from direct sun. Direct sunlight may slow its growth, and growing it in full sun will require more watering. A few weeks after planting, pinch the young shoots in order to encourage new offshoots: sever the end of the stem between your thumb and index finger. Like so, lateral stems will grow. You can repeat the operation several times at the tip of each stem. The mint rather prefers dry soils: water mainly just before planting, during very hot periods, and of course if you are cultivating the mint in a pot. Pro tip: never water during direct sunlight: this can burn the foliage, and this wastes water. Water in the evening, but not too late. You can pick the mint leaves all throughout spring and summer according to your needs. Preferably choose the biggest leaves by cutting the entire stem to encourage new shoots to sprout. It's better to pick in the morning before the sun comes to spoil the aromatic quality of the leaves. Also take the time to remove all the buds whose growth is tiring out your mint to the detriment of the leaves! Dividing the plant is normally undertaken in spring or in autumn. Start by digging up the plant with its roots, separate the plants gently, and transplant each section in a mix of garden soil and garden soil, potentially adding a little bit of compost. Water generously for two to three weeks. After the winter, there's usually not much left of your mint than a few woody stems! You can cut them down - it's the from the roots that the young shoots will start again! Repot every year potted plants by adding a little compost: the mint doesn't ask for much, but growing it in a pot will eventually make it a bit pale, and repotting it will rejuvenate it.